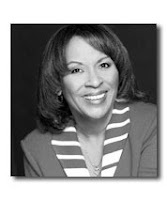 We are thrilled to welcome Sharon Draper to readergirlz. Her novel Copper Sun is our February pick! Check out the our interview with Sharon, book party ideas themed around both books, and our Reach Out project idea--as well as the awesome soundtrack Sharon's chosen for the book--on readergirlz.com. Fifteen-year-old Amari's village is destroyed, her family is slaughtered, and she is taken as a slave. Forced from her loving home in Ghana, marched across the continent to a slave ship where she endures the horrors of the Middle Passage, Amari is sold in South Carolina to a life of degradation and despair. But with strength and dignity, Amari first learns to endure, and then survive. She discovers friendship in the indentured servant Polly, and when the opportunity to escape presents itself, Amari and Polly decide to work together to find the thing they both want most -- freedom. We are excited to have the amazing Sharon with us this month! Join us all month right here on the blog for discussions and mark your calendars a LIVE chat on Wednesday, February 17th at 6pm PST/9pm EST. Welcome Sharon! I am so thrilled that you are going to be with us on readergirlz this month. I'm really looking forward to the discussion about Copper Sun. It's such a pleasure to see you here at readergirlz. I look forward to the live chat on the 17th. rgz HOST: Kami Garcia & Margaret Stohl! February: Is the History of Slavery Important? rgz LIVE! chat with Sharon M. Draper tonight! 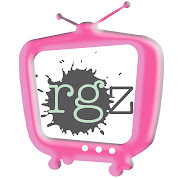 Rgz Shoutout: Street Team Sarah! February: Have you ever felt trapped? February: Why are Evil Characters so Appealing? rgz Seattle HOST: Carrie Jones and Alyx Harvey! February: Is Anyone Pure Evil? Seattle HOST: Mary Jane Beaufrand! February: Can You Imagine Being Sold?